The Western Wind: Holiday Light! 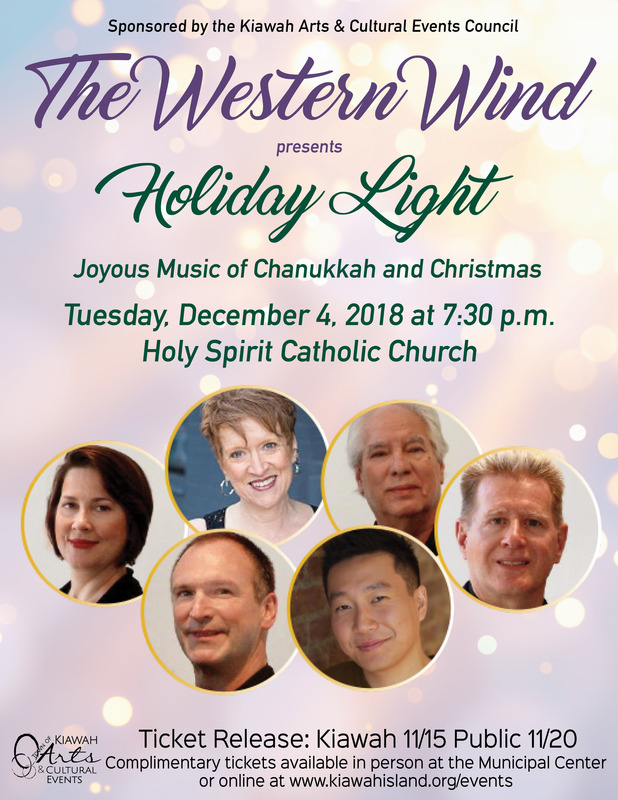 Tickets available here beginning 11/20 at 9 a.m.
Join The Western Wind six a cappella singers along with instrumentalists as they bring their unique music to Holy Spirit Catholic Church celebrating the holidays! Holiday Light is a program that celebrates Hanukkah and Christmas all in one evening. The program produces a diverse array of holiday music from the Middle Ages to today. Organized by themes such as Stars and Lights, Angels and Shepherds, Holiday Messages, and Food Festivities, the program presents a broad selection from Medieval Renaissance, Early Romantic to contemporary work, folk songs, and spirituals.